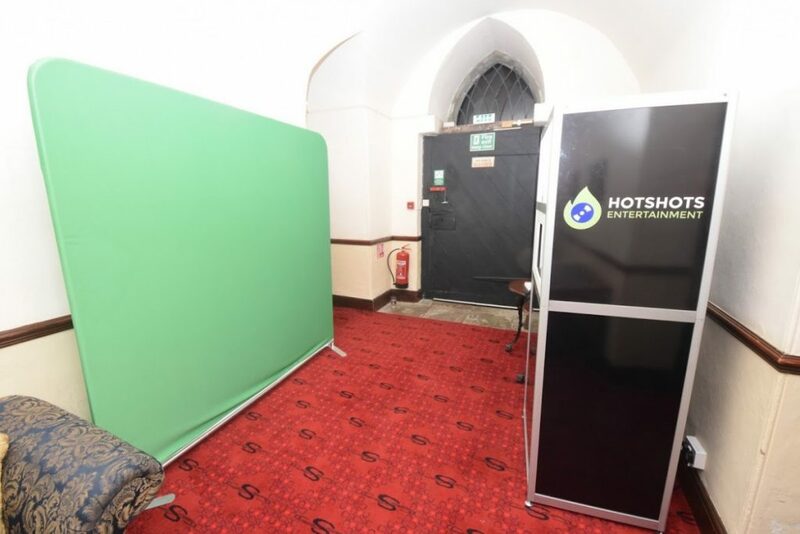 Open style photo booth hire with either green screen or backdrop. For bigger events we do ask for a 3×3 meter space, this is so a larger number of people can get into the picture (17 is the record so far). But this can also go into the smallest of rooms and still provide great results. Using a Canon 600d camera, that is all set up for the best possible instant results. This packs away very small and can go almost anywhere, no lift access is require. The pods are adjustable in height and are perfect for smaller children and wheelchairs. This open style photo booth hire includes unlimited visits to the booth, instant double 6×4 prints (or strip 2×6), personalized guest book, online gallery, props, green screen and an attendant to run the hire.